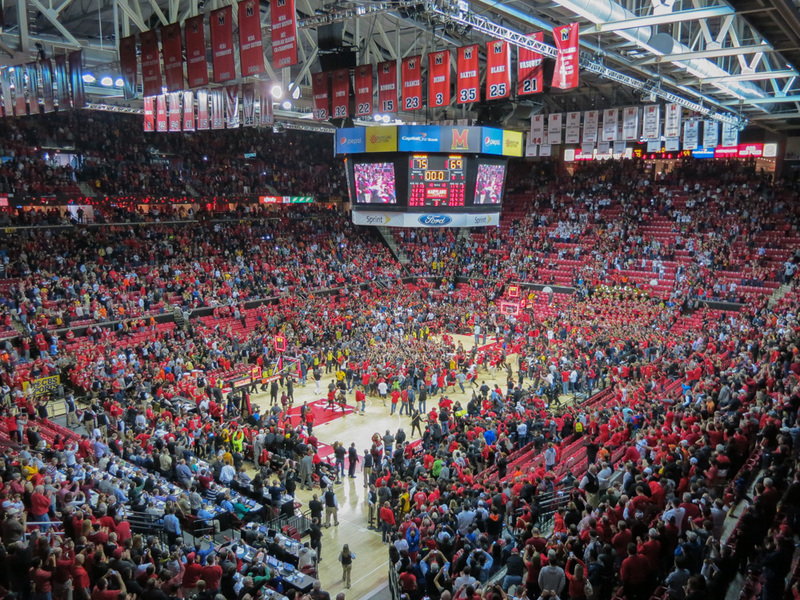 Maryland’s season is over (pending a potential bid to the NIT) and the Terps have nothing to show for it other than a big regular season win versus rival UVA and a look to the future. There were a number of close games, including the start of the season versus UConn. At times, the season felt like a roller coaster. Seth Allen injured before game one. Hosting the President for the Oregon State game but losing at home. Winning the Paradise Jam only to pick up back to back losses to Ohio State and GW, and then to lose to Boston University at home. Getting close games at home but suffering staggering defeats on the road at Pitt and FSU. Not being able to close out games against major opponents until the final game of the season. Taking FSU to the wire in Greensboro but allowing a jam to close the door on the Terps in the final appearance in the ACC. On the high side, nothing was bigger than closing the season against UVA and taking the game to overtime. Even though there were times that UVA looked like they had a chance to make a run, the Terps were able to find ways to stay in it. The Paradise Jam was a great set of games as well. Even though the teams were not the top in the country or from the major conferences, the win over Providence in the finals was a quality moment to make up for the close UConn loss. After the rough 24-point loss to FSU in Tallahassee, the team was able to rally at home for a redemption 12-point victory to split the series (until matching up in the ACC tourney). The problem was that the low side was much, much larger. The season started with a 1-point loss to UConn where the Terps had the final shot to make an early season statement. The third game of the season against Oregon State saw Maryland losing to the Beavers at home in front of the Obamas. While the loss to Ohio State was not a surprise, the 2-point loss to the Colonials was a tough one to swallow, especially when that was followed by a 6-point loss to Boston University at home. Pitt and Florida State were able to bully the Terps on the road. After a wavy middle part of the season, the Terps found ways to lose their match-ups against ranked teams by no more than 4 points per game. They played Pitt at home, Duke on the road, and Syracuse at home. The double overtime loss to Clemson did not help either. 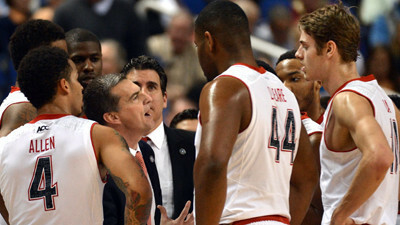 The Terps ended the season with a record of 17-15 (9-9 ACC). This was actually a step back from last season, when the Terps started with a tough close loss against Kentucky at the start of the season, finished the regular season with a record of 20-11 (8-10 ACC), went on a mini run with wins over Wake Forest and Duke in the ACC Tournament, and ended up in the NIT semifinals (losing to Iowa). Losing Alex Len was tough but the hope would be that the incoming recruits can fill the gaps currently in the roster. Rather than ranking the individual players, I have chosen to look at this from a positional standpoint. From an overall perspective, the team played small with no truly dominated inside players. While it appeared that there should have been an outside game with the 3-point shooters, the team struggled at time, especially with its top shooters. The incoming recruits are bringing more size and inside game, which should fill the gaps in the final ACC season. Definitely hoping for some major, positive changes for our move to a new conference.